Contact - Bone Up Brewing Co.
Feel free to contact us with any questions you may have. If you're a bar or a restaurant, let us know you're interested and we'll get in touch - we'd love to take you on! 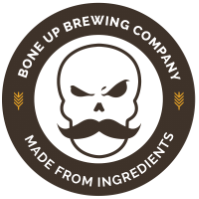 Or, just email us at info@boneup.beer. That works too.